AMC content: Q&A – Giancarlo Esposito: "Gus is the coolest cucumber that ever walked the Earth." Introducing Gale Boetticher, played by David Constabile. The Science of Breaking Bad: "In reality, one’s lab partners are rarely so easy to get along with." 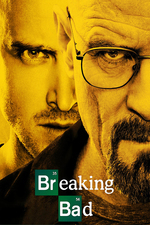 Walt comes up with a clever solution to the problem he & Jesse are facing at the end of the episode which, like many good solutions in the middle of a story, causes problems of its own. Also, Gus. Gus is just a fantastic character, enigmatic and very cool under pressure. On another note entirely, I've wondered whether he and Gale were lovers. I think maybe not because they seem so different from each other, but I feel fairly certain that Gus and Max were an item. I do love the tension of that RV scene, although everyone's grasp of constitutional law there is rather impressive (I'm also not entirely convinced Hank wouldn't just burst through the door anyway). Meanwhile we get a glimpse that Gus is a man who is absolutely willing to sell anyone down the river if they are a distraction. He must know about Walt's relation to Hank, but he really does not care. Gus did know they were related; he saw Walt's picture on the collection jar at the DEA and Hank told him (in response to a casual "is this one of your agents?") that Walt was his brother-in-law. I think at this point Gus was already planning to warn Hank, but still that's a big gamble that it would work. He must have known that if Hank were killed Walt would quit cooking meth--maybe he was expecting to be able to convince Walt to keep cooking long enough for Gale to learn his process? It occurs to me that the opening scene probably isn't just meant to remind us that the cousins are immensely dangerous, but also to underscore how much danger Hank is in. Their victim could have been anyone, but the authors chose a policeman (when policemen are, as a matter of course, trained in how to deal with dangerous suspects). I'm not tempted by the money, or the meth, but OH WOW, I WANT some of Gale's coffee. I'm hoping that maybe "Better Call Saul" will give us some background on Old Joe. Where did he learn to sling the legal BS with such aplomb? and build giant electromagnets? Gale's contraption may be plausible for brewing coffee, but it doesn't look like it'd keep it hot for long. I feel fairly certain that Gus and Max were an item. I liked that the show never explicitly stated that; it simply showed a close relationship. Gilligan's answer was always "you're going to have to decide for yourself." I think yes, too. Gus and Gale though? No, Gus is much too self-controlled to risk a relationship with a subordinate. Kelley Dixon's editing in the opening scene is fantastic: the swing of the axe, the crunch of the apple. I think at this point Gus was already planning to warn Hank, but still that's a big gamble that it would work. I always wondered how far ahead Gus was planing with this: he aims the Cousins at Hank, then he tips off Hank, and then he uses "somebody tipped off the DEA" to clean out some of his cartel enemies. Result: he still has Walt, he's eliminated the loose-cannon Cousins, and he's advanced his long revenge game. On the other hand, if he had allowed the Cousins to proceed, or if he had maintained his "I need him alive" and the Cousins disobeyed him: he loses Walt and he loses authority within the cartel. I think Gus is always running the percentages in his head.